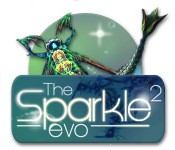 The Sparkle 2: Evo is rated 3.0 out of 5 by 12. 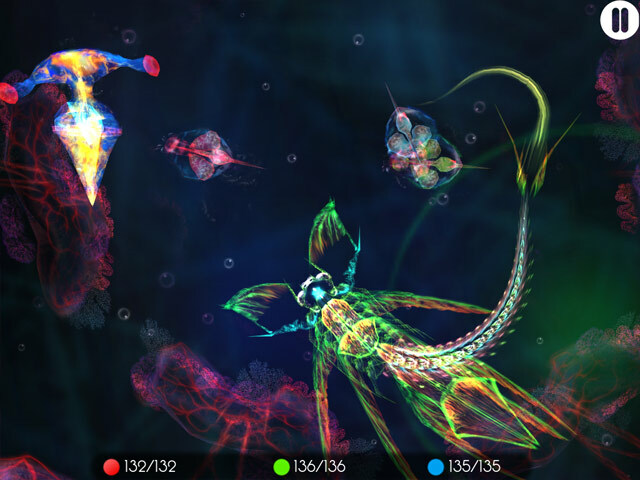 Rated 1 out of 5 by gg3000 from Aimless Swimming ain't fun This bizarre litte game tries to make the screen into microcosm that your little flagella organism is supposed to explore. As you wander through flashing colors, you hear cosmic chords that are really pointless and uninteresting. You are supposed to run your little critter over blob-like single celled things that are red, green, or blue, and what ever color you run over the most will determine how you will evolve. But it takes an eternity and I have better things to do with my life. GL little Sparkle! 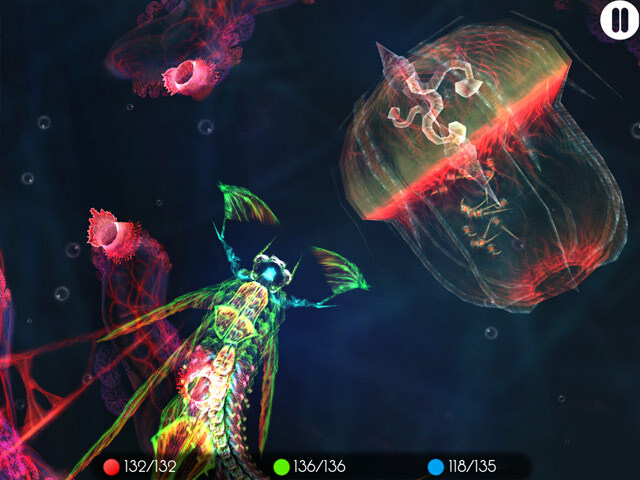 Rated 1 out of 5 by crinoid from It literally hurt my eyes After years of playing and loving Big Fish games, this experience finally prompted me to write a review. I am familiar with the concept of this game and have played the original title, on which "evolution" games are based, on my home gaming system. I'm not against inexpensive spinoffs of a cool game idea - look at the Match 3 genre. 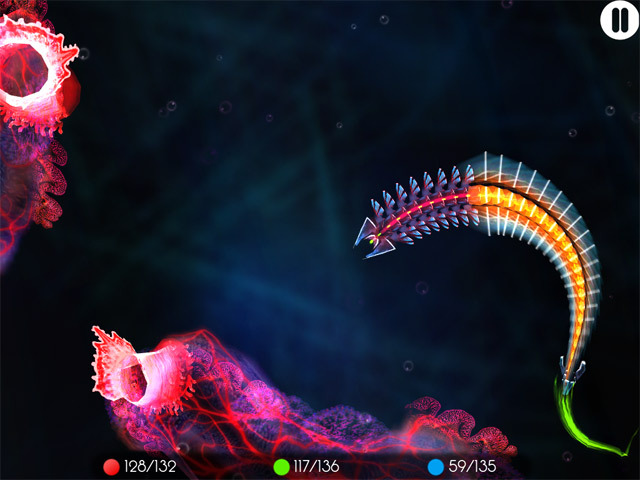 However, this is a very badly made – as in, badly designed and programmed - game. Full disclosure: yes, I am in fact a professional software tester - but no, these are NOT merely "technical issues." My experience was not a matter of a few bugs. My computer is a very standard MacBook Pro that I also use for my work, as well as to play the many other Big Fish games I love; there is no problem with my individual setup. First I was challenged for my screen resolution. Kind of surprising in this day and age. This alone would stop some players dead in their tracks. The interface seems to have been designed for old CRT screens, because on my LCD the white saturation was blinding. Again - this is actually happening in 2012? Thanks to the nonsensical iconic menus, I couldn't find any settings to adjust the graphics (besides the resolution choices before the game started) - or else these options don't exist. Colors were washed out and the white literally hurt my eyes with my screen brightness turned all the way down; beyond the tutorial I was not able to play the game because it was extremely difficult to distinguish elements of gameplay (i.e., targets from the background.) A tremendous amount of text exists in this game. All of it was obviously written in the designers' original language and then passed through something like Google Translate. It was not charming. It was distractingly bad. I did not expect my trackpad to be the ideal controller but the user character was sluggish even when controlled by keystrokes. When I finally gave up and hit Esc to quit, some other game function popped up. Seriously? I understand that to rapidly release new, inexpensive games to their customers, BFG often needs to move ahead when minor problems exist in a game. I'm willing to play through a few little problems to enjoy cheap fun games. This game, however, is far below BFG’s usual quality standards.